The cluster approach is an effort to fill identified gaps in the humanitarian response. This is an approach that is in place at the global level and at the level of the intervention countries. At the country level, the aim is to strengthen the framework for coordination and response capacity by mobilizing “clusters” of actors (United Nations, NGOs and-State) involved in a particular sector. Each cluster has a National Leader (CFN) and the Provincial Focal Point (PFP) who will be responsible to coordinate and mobilise different sector actors to take action. Being the initiative of the Global WASH Cluster, the present review of the WASH Cluster in the DRC was part of a Learning Project, which aimed at capturing the lessons to be drawn from initial experiences developing the Global WASH Cluster and WASH Clusters in the countries where this approach has been implemented, in order to contribute to the improvement of the strategy, approach and impact of this important element of the humanitarian reform. 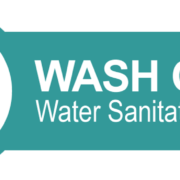 This review also aimed at making recommendations for the operation of the WASH Cluster in the DRC. The review of the WASH Cluster DRC used the OECD criteria as framework: Impact, Effectiveness, Efficiency and Relevance. Specific questions were formulated for these criteria. Another objective of this joint review was also to improve understanding of the implementation of this reform of the cluster by the agencies participating in the Global Cluster. Various agencies involved globally participated in this review. A team of eight people, including five representatives of cluster member organizations at both the global and national levels (ACF, IMC, Oxfam Solidarity and UNICEF) participated in the review together with two representatives of national NGOs, members of the WASH provincial Cluster (BDD, Bukavu and Arderi, Katanga). Skat Consulting was hired as external consultant with the purpose of coordinating the review and drafting the report.